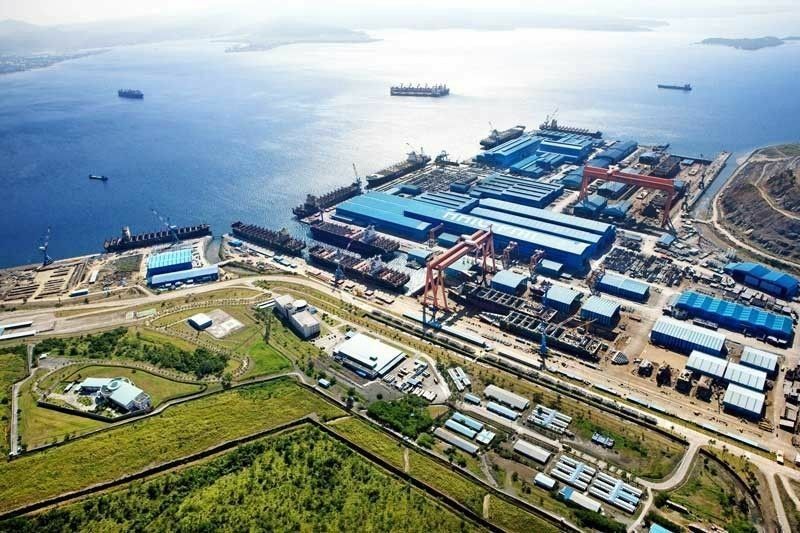 MANILA, Philippines — International Container Terminal Services Inc. (ICTSI) of ports tycoon Enrique Razon intends to transform the Hanjin shipyard in Subic Bay into a multi-purpose facility should it take over the facilities of the South Korean shipbuilder. ICTSI global corporate head Christian Gonzalez said the listed firm is still working and trying to put the team together for a potential Hanjin offer. “Our intention is not shipbuilding at all. It’s to utilize the site for other purpose, other critical type of support infrastructure like automotive terminal, multi-purpose crane terminal, steel, power, etc. We’re not just looking at that as a port, we’re looking at that as multi-purpose facility,” Gonzalez said. Gonzalez, however, said nothing is definite on ICTSI’s plans for Hanjin at the moment as it is still “putting many moving pieces together” and it may require many different partners. “It’s a good site from a maritime point of view. The problem is it’s a very bad site from road infrastructure point of view. So the potential is good as a domestic transshipment hub for us, but definitely not container. Now that potential then grows when we see better road infrastructure connecting Hanjin to the SCTEX,” he said. Razon last month said he saw “some potential” in developing Hanjin’s facilities in Subic Bay, according to Bloomberg. In January, Hanjin filed for rehabilitation before an Olongapo City court, after being affected by the global economic slowdown, which in turn impacted trade. It has roughly P21 billion in debts to some of the country’s biggest banks.